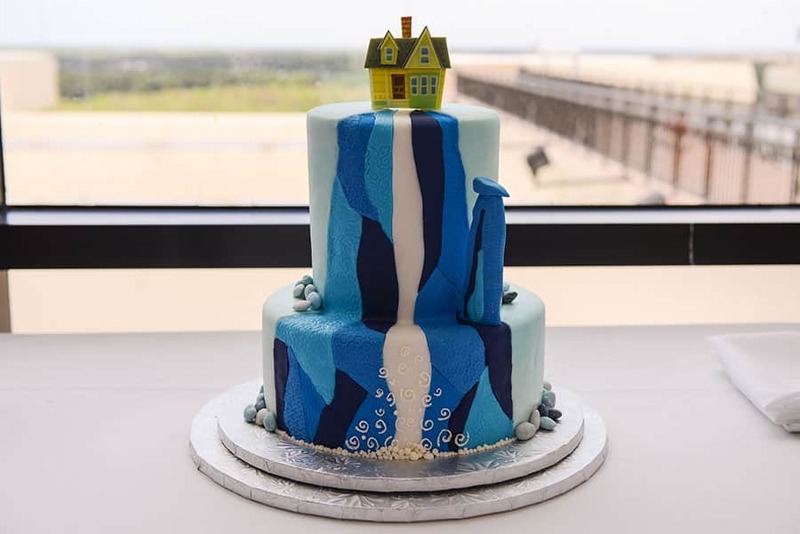 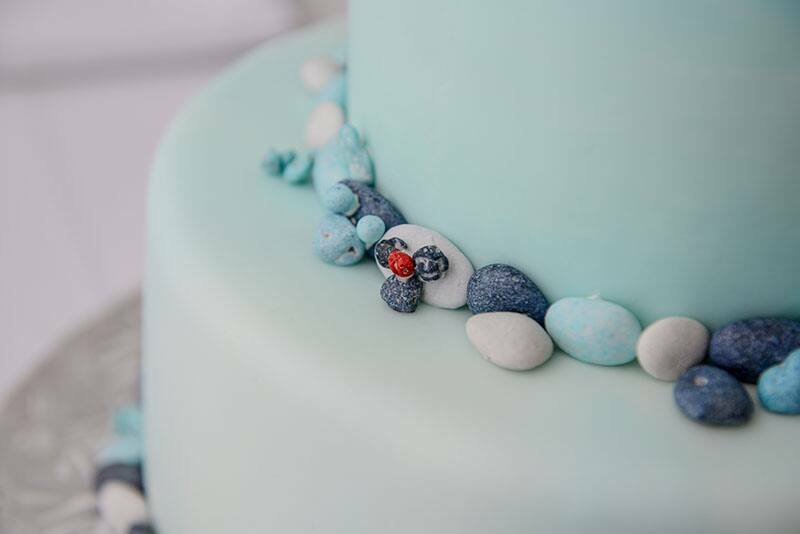 If you are a fun and adventurous couple like Carl and Ellie from Pixar's Up, then you will love this week's Wedding Cake Wednesday. 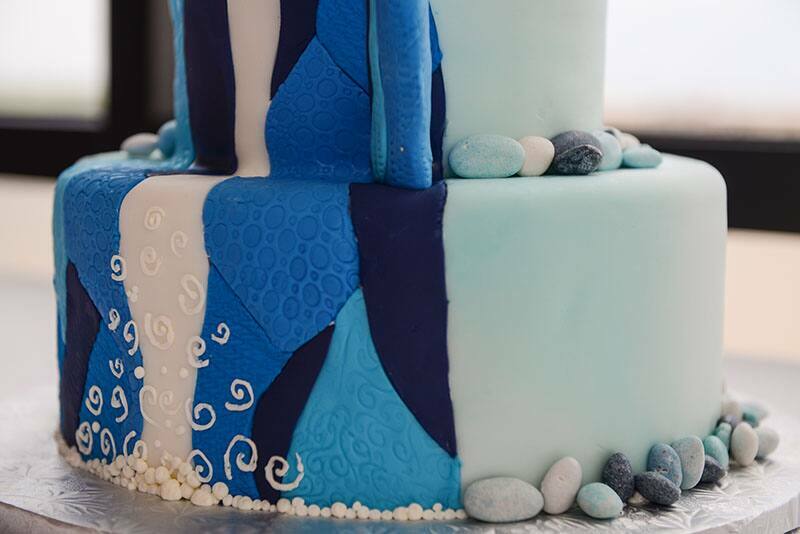 The playful design is inspired by the couples dream to visit Paradise Falls. 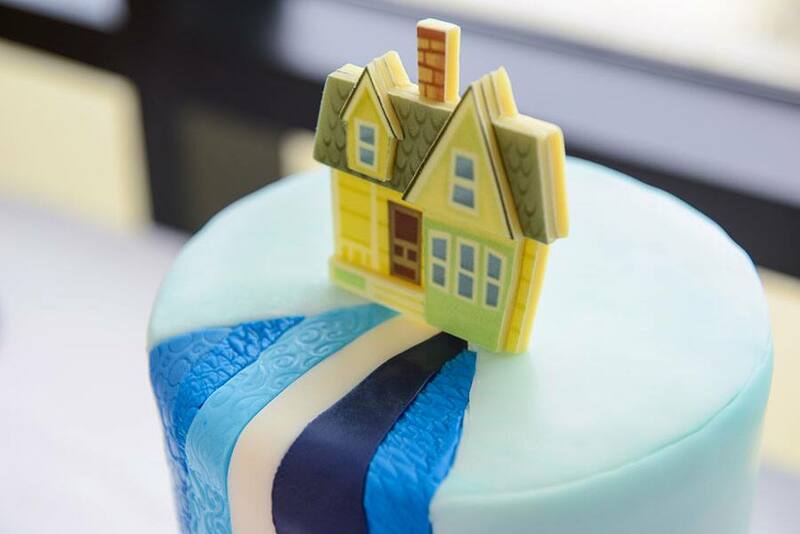 Cascading down each of the two tiers is a whimsical water fall featuring hues of blue while the iconic home is nestled on top.